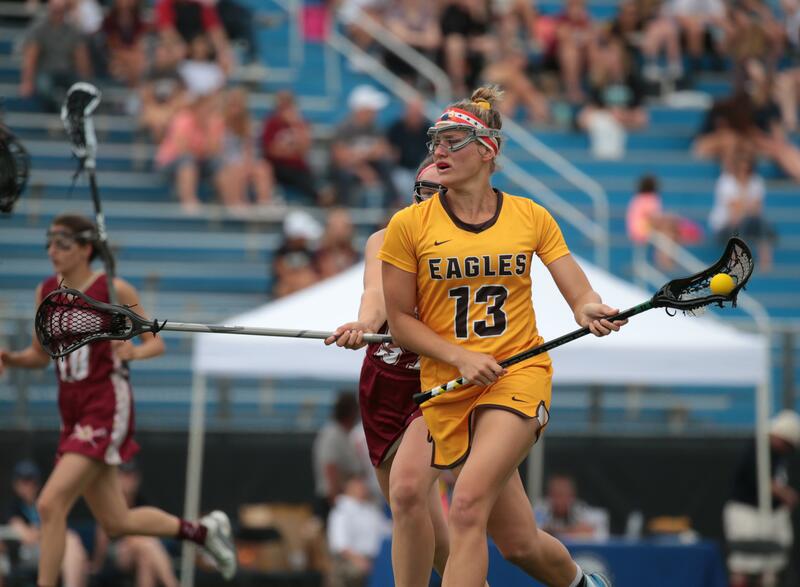 Reagan Roelofs, a senior midfielder from Apple Valley, was named 2018 Ms. Lacrosse, a recognition signifying the state’s top senior player in girls' high school lacrosse. Roelofs had team-highs in goals (64) and assists (42) this season, and recorded a hat trick in Saturday’s 11-10 victory over Eden Prairie in the state championship. It was the Eagles' first title in girls' lacrosse. The Naval Academy-bound Roelofs, who entered the state tournament as the state's all-time leading scorer with 505 career points, was also named the Star Tribune Metro Player of the Year last week. The other finalists for the Ms. Lacrosse Award were Rachel Graff, Bloomington Jefferson; Abby Hagberg, Stillwater; Ellie Henry, Eden Prairie; Abby Jones, Blaine; Molly Moynihan, Apple Valley; and Sophie Skallerud, Blake. The Ms. Lacrosse Award, along with the Jake Anderson Ms. Goalie Award, was handed out by the Minnesota Minute Men at a banquet on June 17. A panel of Minnesota State High School League and NCAA coaches, scouts, referees, media members and other lacrosse experts decided the winners of both awards. Minnetonka senior goalie Chloe Lewis was selected as the 2018 Jake Anderson Ms. Goalie Award winner. The honor goes to the state's best senior goalie in girls' high school lacrosse. The other finalist was Blake's Lucia Warner. Lewis, a Denver commit, won six regular season games for the Skippers this season, boasting an 8.92 goals-against average and a .609 save percentage. 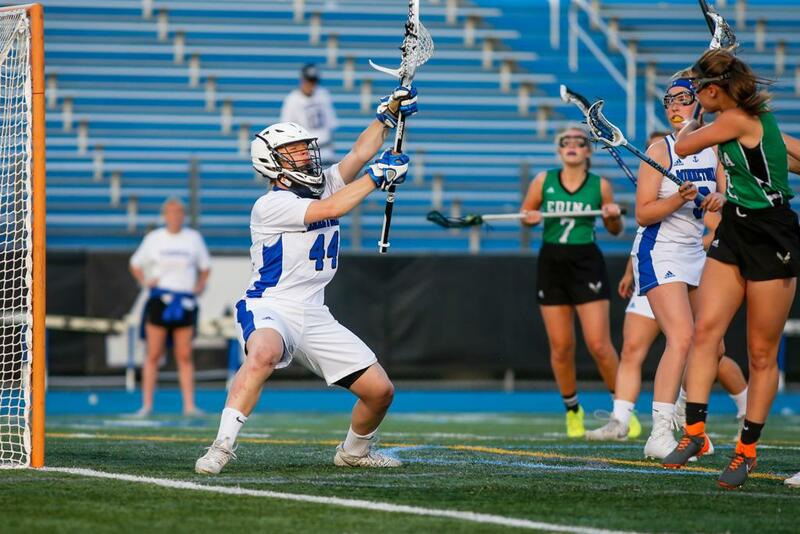 Although Minnetonka's season ended in the Section 2 championship with a 16-5 loss to eventual state runners-up Eden Prairie, Lewis posted two postseason wins -- a 19-6 victory over Orono and a 11-7 win against Chanhassen -- to finish the season 8-7. Lewis was named to the Star Tribune All-Metro first team earlier this month. Lewis also played hockey for the Skippers. She notched three goals and five assists this season as a forward.